I love his new haircut! It really makes him look younger and less feminine. Congratulations to Kim Myung Min (Best Leading Actor for White Tower), Son Ye Jin (Best Leading Actress for Alone in Love), Lee Bum Soo and Lee Jun Ki for the Popularity Award, and Jung Ji Hoon (Best New Actor for I’m A Cyborg, But It’s Okay)! For more awards result, please visit Anne’s Blog. Congratulations to Gam Woo Sung and Lee Jun Ki (The King and the Clown) for winning the Best Couple Award. That’s right. Best couple, y’all! The fur wrap thing has got to go. Nonetheless, PSY looks beautiful. Special thanks to seirin for uploading the clip. Pop open the champagne bottles. Cheers all around! 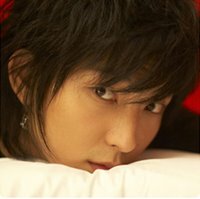 Actor Lee Jun-ki has been cast in the Korea-Japan joint production First Snow directed by Han Sang-hee, who earned a reputation for producing music videos by working with famous singers including Rain and Ivy. The Japanese Sponichi Shimbun reported Wednesday that Lee had participated in the movie’s first shoot in Kyoto on Monday, with rising Japanese actress Aoi Miyazaki playing opposite his character. 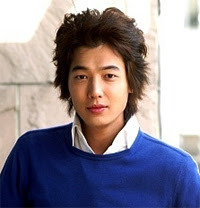 Lee plays a Korean university student who moves to Japan when his father gets a job there as an exchange professor. He has a brief but romantic fling with a high school girl (Miyazaki) with a complicated and difficult family background. The film is co-sponsored by CJ Entertainment and Kadokawa Herald Pictures and produced by Guardtec, which also produced Lee’s recent film Fly Daddy Fly. The 21-year-old actress rose to stardom through her role in Nana, which became a big hit in Japan last year. Despite her short career, she has been recognized for her performances several times. 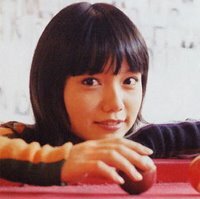 She received the best actress award at the Festival des 3Continents in 2002 and the young actress award at the Nikkan Sports Film Award. First Snow will end shooting by the end of the year and be released concurrently in Korea and Japan next spring. 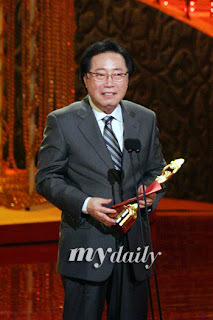 Special thanks to Wendy @ soompi.com for posting the images. doozy: Lee Joon Ki looks great in these ads! My favorite picture in this collection is the one of him wearing the white/green beanie…very adorable smile. Recently, my friend discovered this wonderful movie and we had a very good conversation about it. Our discussion brought out several of the nuances and symbolisms embedded in the movie and really made me (and her) appreciate it more. So while I’m in “The King and the Clown mode,” I’ll post up some related goodies that hopefully you haven’t seen before. If you have, it’s really worth a second or even third look at them. Enjoy! To download the song, click the link below. If you’re interested, a well-written and very detailed review of the movie can be found here. Also, if you’re still interested, a [lengthy] article about Lee Joon-Ik, the director of the movie, can be found here. -The above words can be found in the lyrics of the song. They are from my limited knowledge of the Korean language so please feel free to correct me if the definition and/or spelling is wrong. If you haven’t seen The King and the Clown, do take a look at it. It’s a must-see movie! Lee Jun Ki: Comic Book Hero? The King and the Clown sold 12.3 million tickets, Korea’s no. 1 movie of all time until then, and the hero Gong-Gil, a man with a smile more beautiful than that of any woman, kicked off a syndrome all his own in the first half of this year. The success story of the actor who played him is now being portrayed in commercials for a juice drink called The Beauty Likes Pomegranate. Comic book artist Won Su-yeon, who is famous for Full House, joined hands with Lee Jun-ki, who is growing into the Korean film world’s blue chip, to portray Lee’s life in a comic strip. The curtain has already risen on part 1 of the five-part series commercial. In the first installment: despite his parent’s objections, Lee Jun-ki leaves his home for the big city. He gets on the train, takes his seat, and starts thinking back on what his father said. Heaven and earth shake as his father bellows, “I didn’t raise my son to be an entertainer!” But in spite of the intense objection, he arrives at Seoul Station, and says, “No matter what anyone says, I am going to go my own way.” Of course the story has a happy ending. But the plan is to portray the pain, jealousy and envy the actor never believed were possible until he met with overnight success. No. 2 in the series will come out on Sept. 1, and by the end of October the entire legend of the actor’s success will be complete. The head of marketing with Lotte Chilsung, Kim Sang-tae, says, “We wanted to create a work of culture that was far from the normal PR materials and give something to the target consumer, girls in their teens and 20s, that they could enjoy.” After the Beauty Song TV commercial, the firm expects this to become another cultural icon, he added. The firm expects this to become another cultural icon, he added. doozy: “…the hero Gong-Gil, a man with a smile more beautiful than that of any woman…” I completely agree with this phrase. In The King and the Clown, Gong-Gil is gorgeous! 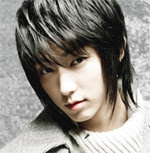 When I first saw Lee Jun Ki in the romantic comedy My Girl, I thought he was a woman! Everytime I see his pictures, I would always be jealous of his hair. The man has great hair, I tell you…heehee.